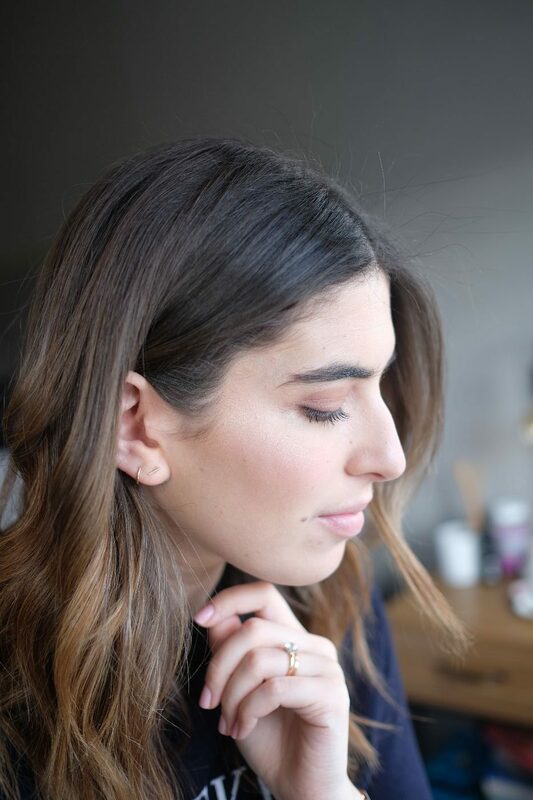 The lovely team over at NARS sent me their new launch and I just had to jump on here and share it with you guys. I personally love a highlighter but I think they are still one of those products that seem to just intimidate people. 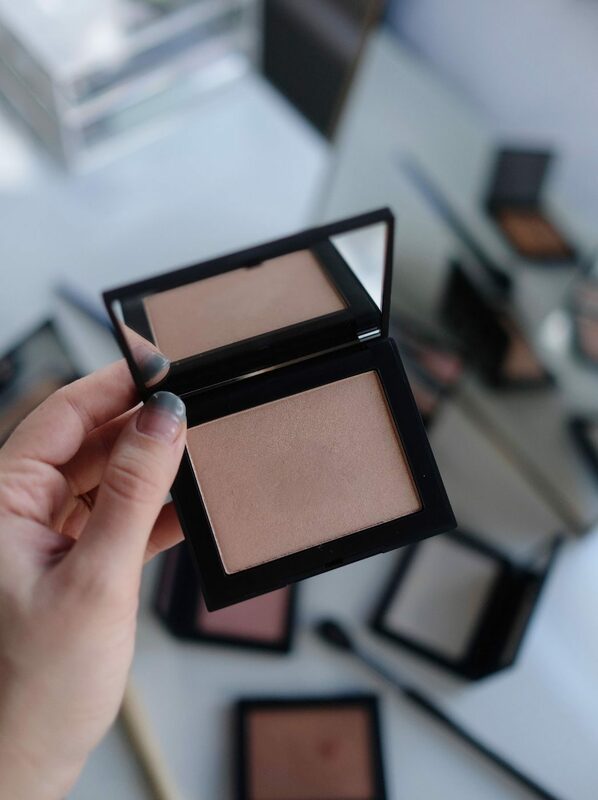 If I were to ask my non-Internet friends what’s in their makeup bag, I could pretty much guarantee there would be an untouched hand-me-down highlighter from my collection that they’ve wanted to try but never really had to guts to, or there wouldn’t be a highlighter at all. So what is it about highlighters that scare us so much? Maybe it’s just that extra effort we can’t be bothered with, because who has time to worry about how the light looks when it hits your cheekbones? Or is it the tools – don’t have them, don’t know which ones to use? Or the fear of ending up looking like Edward Cullen on a sunny day…? 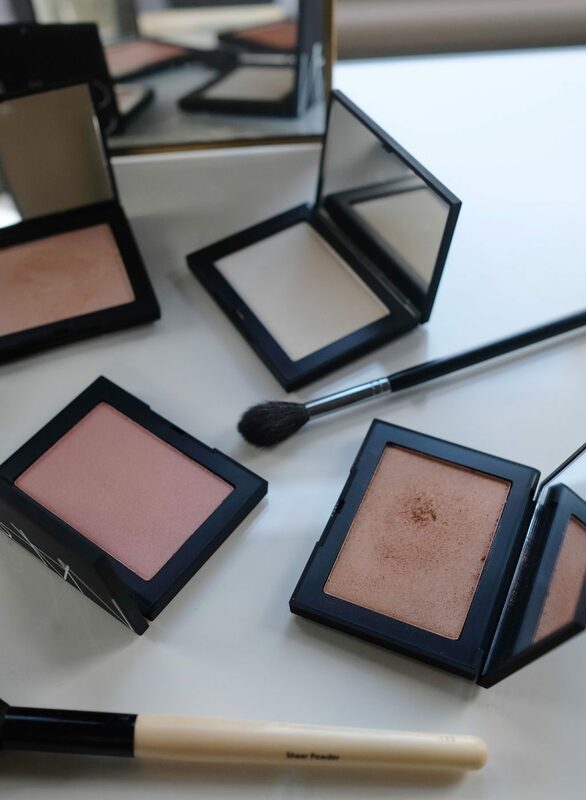 When I’m in the mood for a really poppin’ highlight I’ll use the Becca Shimmering Skin Perfector as it’s a really creamy powder that can be layered to be quite intense. 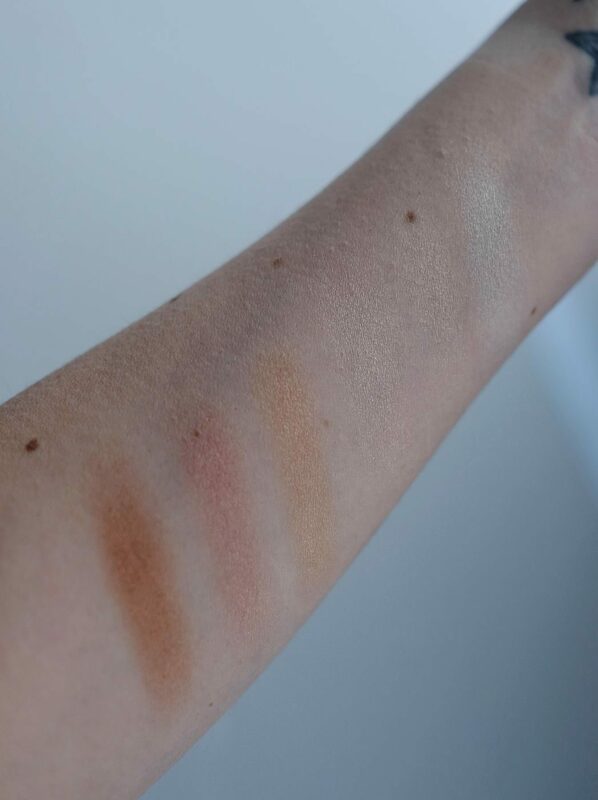 When I want a more dewy, creamy highlight I’ll use MAC’s Hush and just press it onto my skin with my finger tips. 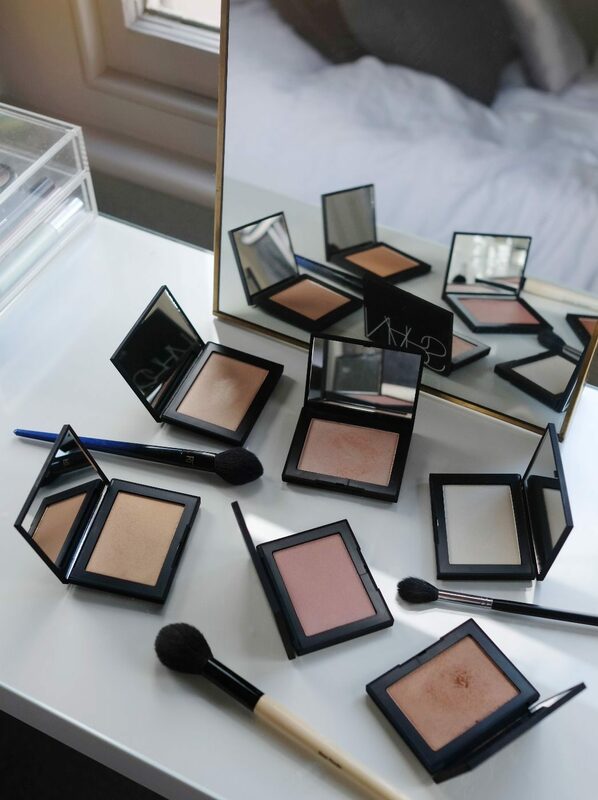 But when these new highlighting powders from NARS came in the post I was very excited and immediately got stuck in, testing out all the shades. There are six; Albatross (an opalescent gold), Fort de France (champagne), Capri (crushed pink pearl), Ibiza (yellow gold), Maldives (rose bronze) and St Barths (warm bronze). They’re £28 each and sold exclusively at Harrods (in store only) until 1st April when they’ll be available nationwide. Let’s first talk about the packaging, because it’s new-ish. Just like their Diffusing Bronzers (launched last year) and all of their new palettes from now on, the packaging has had a slight upgrade from the more flat design they used before. It’s still matte and so it still gets covered in makeup , but I really like the more square design as it feels higher quality, it’s easier to open and you get a huge mirror inside. I think the formula of these highlighters are perfect for someone who wants a subtle glow without the glitter and without the intensity of a highlighter like Becca’s. 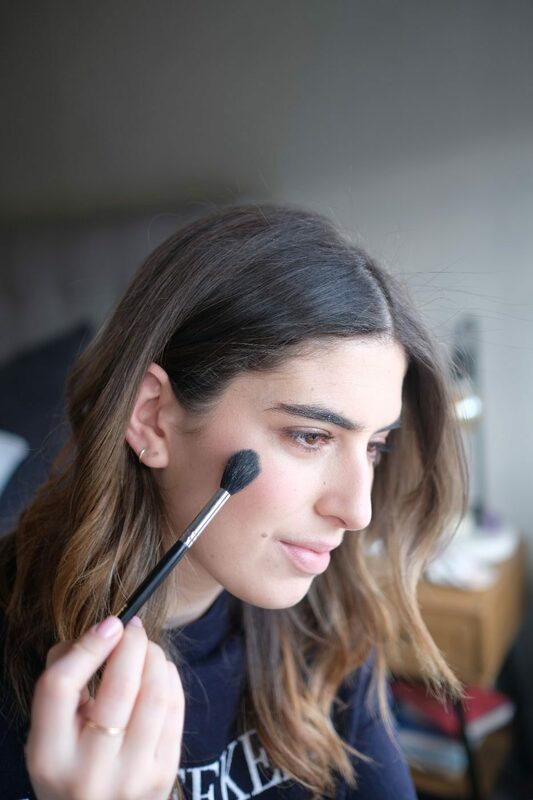 Using a small fluffy brush, like a giant eyeshadow blender brush, you can swipe a bit of this onto your cheekbones and down your nose to add something a little bit extra to your makeup. But it’s not intense and it’s not particularly easy to make intense, which is what I think is so nice about these. If you want to see them in action, head over to my YouTube channel tonight to watch today’s vlog as I use them on camera to show you a little closer.